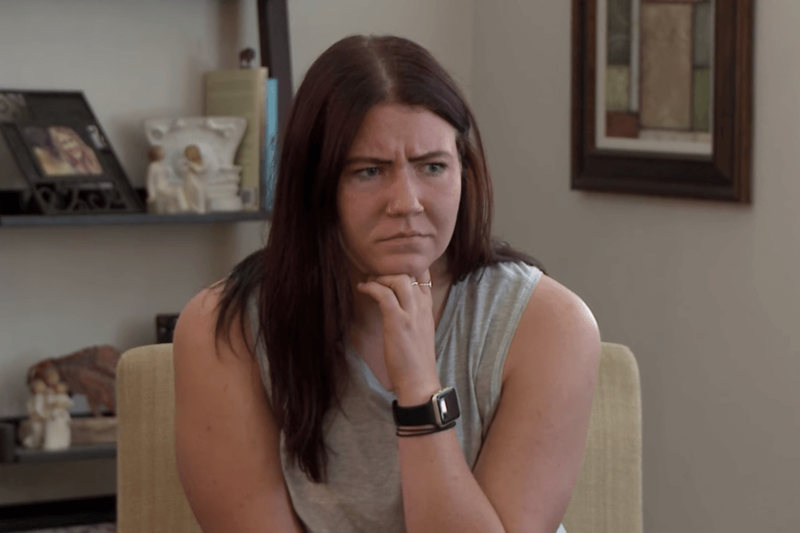 Mariah Brown vents to TLC producers about her mother, Meri Brown’s refusal to take responsibility for her involvement with an online catfish, on tonight’s episode of Sister Wives. In a preview clip of Sunday’s episode, Meri and sister victim, Kristie, rehash the drama with Mariah and girlfriend, Audrey. Mariah remains silent during the catfish, victim rap session, but shares common sense commentary to TLC producers. She notes that Meri has not owned any part of the romantic debacle — and lives in victim mode. Mariah calls out Meri for taking zero accountability — and tells it like it is. “I think that if Mom were to recognize that…and to say ‘hey you know what, yeah I was wrong’ instead of constantly saying ‘I’m the victim this was done to me’… I think that would be a lot easier for us to kind of grow from and move on from,” Mariah explains. Meri wonders why Mariah isn’t engaging in her latest effort to back up her victim act — but most viewers have understood Mariah’s position for years. Press play to watch below. Catch Mariah Brown’s plain talk on Sister Wives, tonight at 8 pm, ET, on TLC.